In this course the student will develop an appreciation for the coding world and its complex rules. 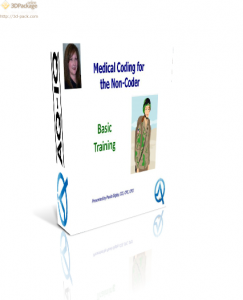 This presentation is designed to provide an overview of the reimbursement process and the role of the coder in that process. What, Why, How and Who related to the key functions of Medical Coding of Patient Healthcare Services. To link the functions of medical record documentation with Medical Coding and Regulatory Compliance. Provide a base of information to the ‘non-coder’ for success working with the issues involved in medical coding.